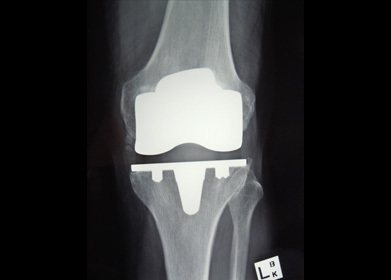 Total Knee Replacement [TKR] remains the most performed joint arthroplasty operation. Data from the Medicare database estimates 55000 total knee replacements in 2015. The number increased 4.7% over the previous year. These numbers are increasing in an exponential fashion. It remains one of the most efficacious operative interventions utilizing QALYS. 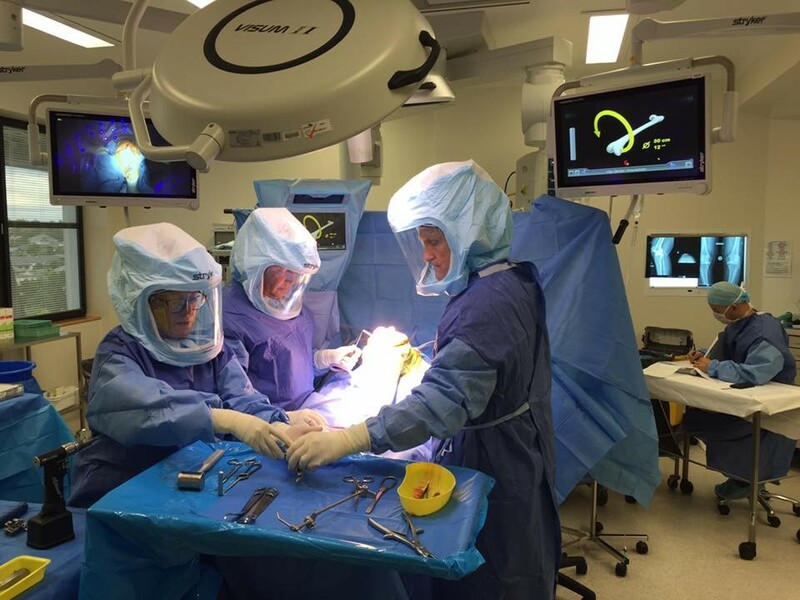 Over the last 14 years the Australian Orthopaedic Association National joint replacement Registry [NJRR] has helped identify poorly performing knee replacements, which have largely now been eliminated from the market. 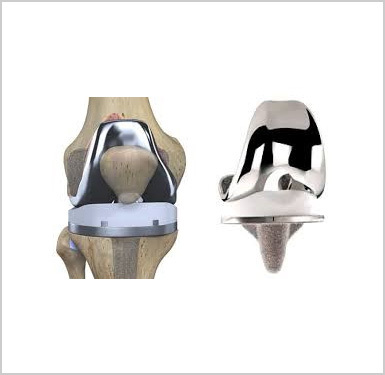 Left image - front view of a TKR, right image - side on view of a total knee replacement. There is still considerable diversity in the market but those that remain have solid data of greater than 10 years duration. Most implants are made from Medical grade chrome cobalt steel and ultra high molecular weight polyethylene. Some companies are now using a hardened version of the plastic and some use some titanium parts or ceramicised coatings, but none of these variations appear to improve long-term results. Recently, surgeons and companies have sought to find advantages in design features and methods of implantation. 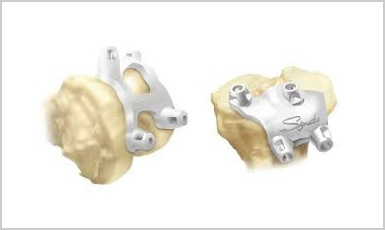 Designs can be broadly categorized into Fixed or Mobile bearing implants. 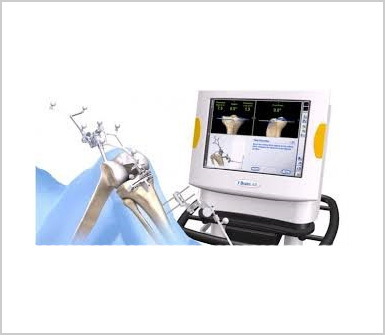 The first act like hinges and the later give some degree of rotation to the implants. Despite decades of use the outcomes are broadly the same, but surgeons follow different design philosophies and can get extremely good survivorship from the prosthesis they are comfortable using. Attempts to gain advantage with minimally invasive or more accurately, smaller incision surgery have not been successful. The use of techniques that try and improve accuracy of implantation have not shown substantial benefits. The use of patient specific moulds to assist with implantation [PSI] has not shown any advantages. Computer Navigation has been available for over 10 years, but has only in the last year, of the NJRR, shown some marginal benefits to people under 55 years whom have a TKR. Advances in Anaesthesia and Pain protocols have improved initial patient satisfaction and earlier mobilization, but ultimately results are no different at 6 months following surgery, whether people have advanced pain management protocols, inpatient rehabilitation or intensive physiotherapy. It is an irony that over the last 20 years patient satisfaction has not improved, and still hovers around 85% of patients considering there TKR result to be good or excellent. There have been advances, but people’s expectations and the lower age, and hence more demanding lifestyles have in part contributed to this disappointing result. 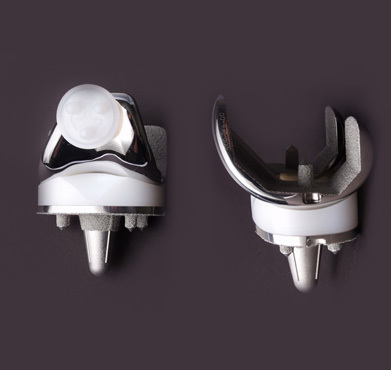 However, knee replacements come in limited sizes, are made out of metal and plastic and result in damage to existing ligaments and substantial scarring, so it is hardly surprising that not all people have a great result. Other factors impact on the result which are patient specific, such as obesity, other comorbidities and psychosocial issues. The later can skew pain profiles and prevent these individuals getting a good result. Although we are continuing to refine the technical aspect of TKR and are beginning to understand some of the factors that can mitigate against poor results we are still a long way from perfection. Despite these concerns the overwhelming majority of patients are still far better off as a result of the surgery.